Corsetier, chocolatier, baker, ta-ta shaker, hip swayer, tight lacer, troublemaker, red lipstick, magic tricks, swizzle sticks, voodoo kicks, and a urban myth. Her name is Tristan Risk. You likely know her as burlesque dancer/circus darling/ foodie/fetish model/pin up/actress and general social nuisance Little Miss Risk. She has spent a great deal of her life as a performer, touring Canada, the USA and Europe with the burlesque troupe the Voodoo Dollz, causing social unrest, contributing to notorious underground burlesque studio Dollhouse Studios, and writing about it. 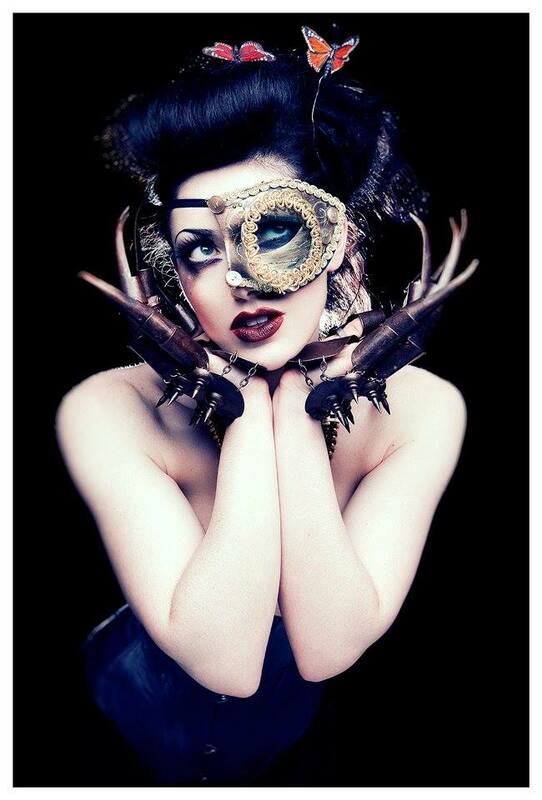 She currently performs with Vancouver-based burlesque troupe, Sweet Soul Burlesque, as well as circus collective Caravan Of Creeps, is a spokesmodel for the Sizzr app as well as an actress (American Mary, The Editor, ABCs Of Death 2). Something of a Vancouver history-o-phile and a downtown courtesan. also a regular contributor to Huffington Post and Daily Grindhouse as well as guest writer for Rue Morgue, Exclaim!, The Lingerie Addict and Malevolent Magazine. Enjoy. I grew up in Tsawwassen, but I spent a great deal of time either at school (Langley Fine Arts) or downtown Vancouver. I was a weird kid and teen, and ostracized for being unusual in my selection of dress and expression. I'm an actress and burlesque dancer. 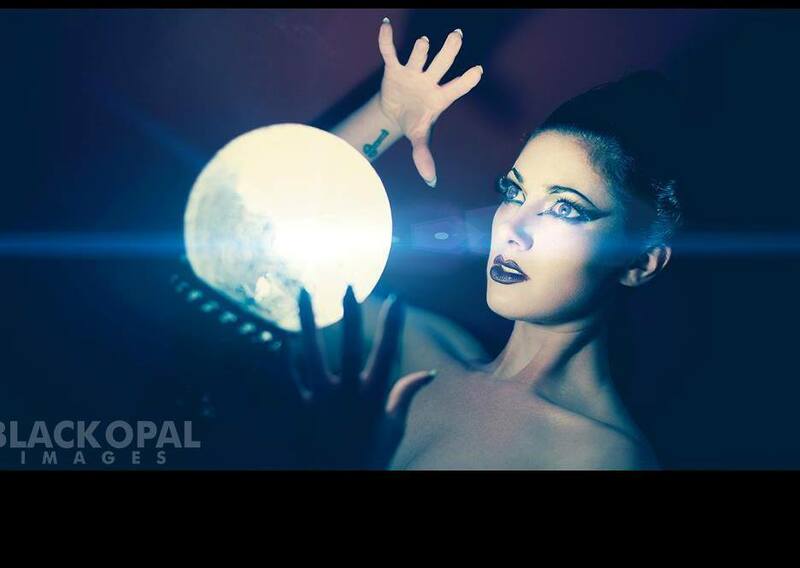 I also perform with my circus troupe, Caravan Of Creeps and my burlesque troupe Sweet Soul Burlesque. I'm active and enjoy mermaiding, acro yoga, and creating interesting shapes with my body. I love good wine and food. I love the company of snakes. I love making meninists cry. Through the amazing woman who has been my white rabbit to this Wonderland of craziness: Teresa Tayloy-Bussey of Dead Heaven Make up Artistry. Vancouver is becoming a fashion and lifestyle destination globally. People come to the West Coast specifically because it encourages weird creativity and is permissive and liberal in it's attitudes towards people's lifestyle choices. VALT is a celebration of all of these things. The Hypershine show from previous years and MITMUNK. I love future-forward fashion as much as vintage ones. I'm in debt to a number of demons now, but it is totally worth it. I'll be hosting Celestia - where my partner and I are the last of our species and study various life forms across the galaxy in a never ending space opera.